Black Friday is the day after thanksgiving, so named for its unofficial start to the Christmas shopping season, but today better known as the day department stores try desperately to remind people there are still department stores. 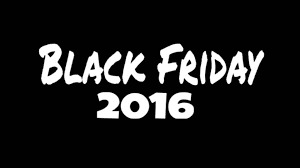 TheBlackFriday.com is one of the most popular source for black Friday ads and black Friday sales information. The website has been featured on various TV channels, newspapers, radio stations and magazines. However, many Black Friday deals are available online - before Black Friday. Many of such Black Friday like or even better than black Friday deals can be found at konga.com throughout the year, including right now. Just discovered this blog and you are really doing a great job..